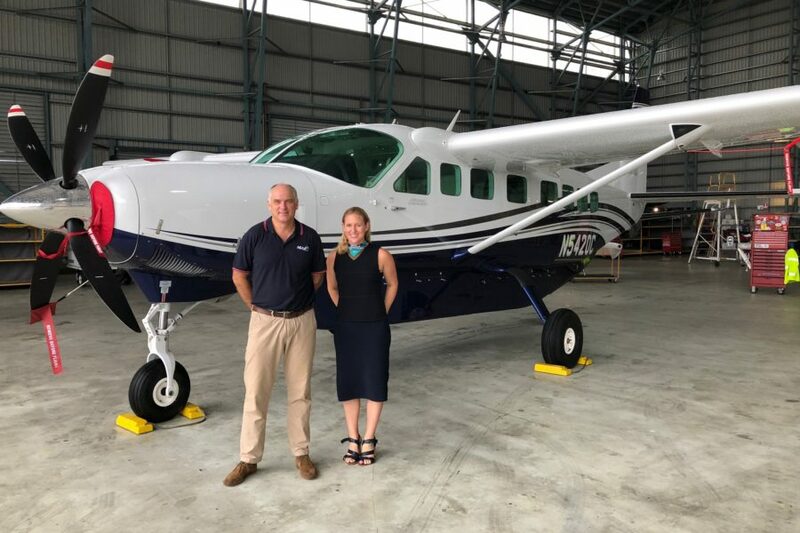 WICHITA, Kan. (April 9, 2018) – Textron Aviation Inc., a Textron Inc. (NYSE:TXT) company, and Mission Aviation Fellowship (MAF) International are pleased to announce the order of five Cessna Caravan 208 turboprops for its operations in Papua New Guinea (PNG), with the option for purchasing an additional two aircraft. This is the single largest aircraft investment by MAF International in its history. 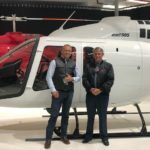 The five aircraft are scheduled to be delivered from Textron Aviation before the end of this year and are expected to be operational in PNG by mid-2019. Since 1951 MAF has been serving the most isolated communities in PNG to bring physical and spiritual relief. MAF enables thousands of aid workers, long-term development specialists, mission workers, doctors and nurses, teachers and water engineers to deliver food, medical supplies and relief, water and education to those living in the most remote areas. During the last decade MAF has slowly been expanding the operations of the Cessna Caravan; it is now used to operate into 95 percent of the more than 230 remote bush airstrips—many of which are positioned on mountain ridge lines. With the purchase of the five Caravan turboprops, MAF adds to its existing fleet of three in PNG, transitioning to a single fleet consisting exclusively of Caravan aircraft. PNG is home to an incredible diversity of tribal groups, with more than 800 different languages and a vast array of local cultures, customs and beliefs. Of the population, 85 percent live in rural areas, relying on subsistence agriculture for survival. With no countrywide road network, overland travel is often lengthy, exhausting and dangerous. The only way most communities can reach the outside world, or be reached by others, is by trekking long distances, often for several days at a time. Effectively “locked” behind seemingly impenetrable jungles, mountains and/or swamps, communities have little or no access to basic healthcare and education; their ability to develop and engage with the wider economy and improve their own standard of living is extremely limited. Access to an air service provides options and opportunities to change these circumstances. MAF’s new Caravan turboprops are a means through which hope and development can be provided for these isolated men, women and children. The Cessna Caravan fleet of more than 2,600 aircraft is certified in 100 countries with more than 20 million flight hours amassed since the aircraft was introduced. Caravan aircraft fulfill roles for multiple missions, ranging from flight training to recreation, commuter airlines to VIP transport, cargo carriers and humanitarian missions. The aircraft was engineered for challenging missions, high payloads and short, rough runways, while providing single-engine economy and simplicity. The Africair Group has supported MAF International and their efforts throughout our territory for over 40 years. We have provided them with aircraft, spare parts and support for their fleet all over the world. We have provided them with over a dozen new and used aircraft since 1985 – the first sale was to the MAF Mali program with a T210, followed by another T210 to their Sudan program that same year.